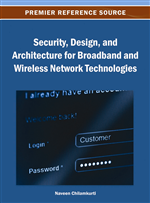 IEEE 802.11 based wireless local area networks (WLANs) are gaining widespread popularity due to their simplicity in operation, robustness, low cost, well-defined standard (e.g. 802.11b/g) and user mobility offered by the technology. A good wireless MAC protocol should provide an efficient mechanism for sharing a limited wireless channel bandwidth, together with simplicity of operation, high bandwidth utilization and network fairness (i.e. equality in channel access). Ideally low mean packet delay, high throughput, low packet drop ratio, and a good fairness under high-traffic loads are desired, but in reality the 802.11-based WLANs do not provide all the quality of service (QoS) provisions simultaneously. Therefore, various MAC protocols have been developed to suit different applications where various tradeoff factors have been considered (Aad, Ni, Barakat, & Turletti, 2005; Chieochan, Hossain, & Diamond, 2010; Li & Chen, 2010; Luo, Rosenberg, & Girard, 2010). A study of the performance of 802.11 under high-traffic loads is required to assist efficient MAC protocol design for WLANs to achieve a better QoS in terms of high throughput and low packet delay in such systems. The 802.11 standard defines two types of MAC schemes: Distributed Coordination Function (DCF) and Point Coordination Function (PCF). DCF is defined as a mandatory MAC protocol while PCF is optional. In this paper we focus on the DCF mode in 802.11 which has been widely deployed because of its simplicity. In the DCF, wireless stations (STAs) communicate with each other using a contention-based channel access method known as Carrier Sense Multiple Access with Collision Avoidance (CSMA/CA). The performance of the DCF has been analyzed in numerous papers (Banchs, Serrano, & Azcorra, 2006; Bianchi, 2000; David, Ken, & Doug, 2007; Kuo, 2007). Clearly, the DCF has several limitations. Primarily, it does not perform well under medium-to-high traffic loads. If the number of active users increases, the mean packet delay, throughput, fairness and packet drop ratio of the 802.11 degrade significantly. The service differentiation and fairness issues of 802.11 have been discussed in (Banchs & Vollero, 2006; Ferre, Doufexi, Nix, & Bull, 2004; Lin & Wu, 2007; Sarkar, 2006). The 802.11e task group is proceeding to build the QoS enhancements of the 802.11 (IEEE Standards Association, 2005). Although various innovative MAC protocols have been developed and reported in the computer networking literature, very few protocols satisfy simultaneously all the QoS provisions while retaining simplicity of implementation in real WLANs. This paper proposes an enhancement of DCF called buffer unit multiple access (BUMA) protocol to overcome the limitations of DCF mentioned above. The BUMA protocol is developed through minor modifications of the existing DCF. The proposed BUMA protocol provides higher throughput, lower packet delay, lower packet dropping, and greater fairness under medium-to high loads than that of DCF. The better system performance is achieved by introducing a temporary buffer unit at the MAC layer for each active connection on the network, accumulating multiple packets (for example, three packets) and combining them into one large packet with a single header for transmissions. The BUMA can be used to improve the performance of 802.11 networks, including the 802.11b/g, and would be a good candidate for providing real-time multimedia services. The remainder of this paper is organized as follows. We first provide an overview of DCF protocols. We then summarize past research on enhancements of the original 802.11 networks. The proposed BUMA protocol is then described. The simulation environment and parameter settings are presented. The performance of the BUMA is then compared with that of the DCF. Finally, the system implication is discussed and a brief conclusion concludes the paper.